I can't begin without first noting the loss of Tom McLaren last month. A former JazzErie President, News Notes editor, Jazz Walk manager, supporter and friend, Tom gave a great deal of himself to this organization, and we miss him. 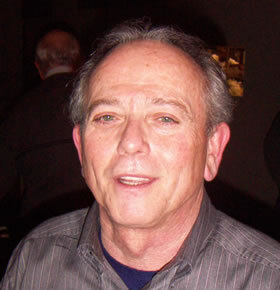 Now we receive word that another long-time supporter of Erie's music community, Gerald Osiecki, is also gone. Rich, profound lives well lived! While I'm reviewing losses, I'm sure you have noted by now that WCME's 24X7 jazz programming is gone. It was a great run while it lasted under the direction of Mike Leal, and a truly unique asset for the community, with a steadily growing base of listener support and lots of possibilities for local participation. 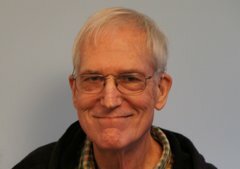 But lets be thankful for WQLN's enduring and creative commitment to jazz programming, which has been enhanced in recent months by the addition every weekday of Gary Finney's rock solid selections of today's jazz classics, following Rob Hoff's adventurous, often surprising, always stimulating "Jazz Flight." WQLN's array of weekend jazz programs continues and expands, along with a great daily diet of news, classical music and entertaining features. In addition to the two mentioned above, local Jazz Hosts include Al Lubiejewski, Jason Gibbs, Pauline Garvin, Phil Atteberry and Kathy Carducci. Plus the network show "Riverwalk Jazz" with David Holt. Please keep your contributions to WQLN flowing. Tony Stefanelli's summer season of jazz performances for 2013 is taking shape. Look for another great season of jazz, featuring major visitors as well as local talents in this ideal, outdoor setting. Well, we've struggled, and there have been some lapses as well as some great content. Hopefully, we're getting back on track. So for now we have to continue to ask you to deal with us by mail, phone and in person -- not always a bad thing. If you want to contact someone in the organization feel free to call or email me: 814/923-4101, email: rwtqveta12191@hotmail.com. I'll see that your message get passed along. Or write to us at JazzErie, Box 8833, Erie, PA 16505-0833. The Anchor In, the lower level lounge below the Oasis Pub at 3122 West Lake Rd., remains the hottest jazz venue in town. Live jazz every Friday from 6 to 9 p.m., with Frank Singer and often Joe Dorris or Tito Ronzitti functioning as the house band, coupled with a special guest or guests each weekend. Drummer/singer/harmonica player/entrepreneur Joe Dorris set up the series with club owner Ryan N. No cover. Full dinner menu, along with beverages. Newara has now added live blues/jazz/world music on Saturdays, also 6 to 9,. Dollar Bill Crisswell kicked off the Saturday series, along with Frank Singer. Look for upcoming session to include Marty O'Conner, Rodger Montgomery, Jul;io Quezada, Ron Yarosz, a jam night and more! Call 814/833-1212 for more information or watch the JazzErie website. The Anchor Inn schedule is detailed on the JazzErie Calender and in the article about club owner Ryan Newara beginning on the home page. 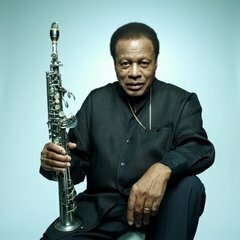 I was lucky to be able to attend a concert in New York on Feb. 1, (at Carnegie Hall, no less) by Wayne Shorter and his quartet -- yes, the great one with Danilo Perez, John Pattitucci and Brian Blade. They were presenting new Shorter compositions with the Orpheus Chamber Orchestra. In addition to some moments of startling musical beauty, was the experience of being part of this usually very staid, classically-oriented crowd in their welcome and shouting approval after the concert for this creative genius of jazz music. It's hard to encompass his body of work as a composer/player/leader. If memory serves, jazz has been declared dead at least a couple of times during Shorter's career. He's still going strong. And look at the young geniuses who keep showing up on the scene! As you may have noticed, Al Zurcher is now our Vice President, and will be chairing this year's Jazz Walk. Lydia Kugel has left our Board, and Jamie Grady has joined us. Please continue to send us feedback. And articles, notices, and website content are always welcome.